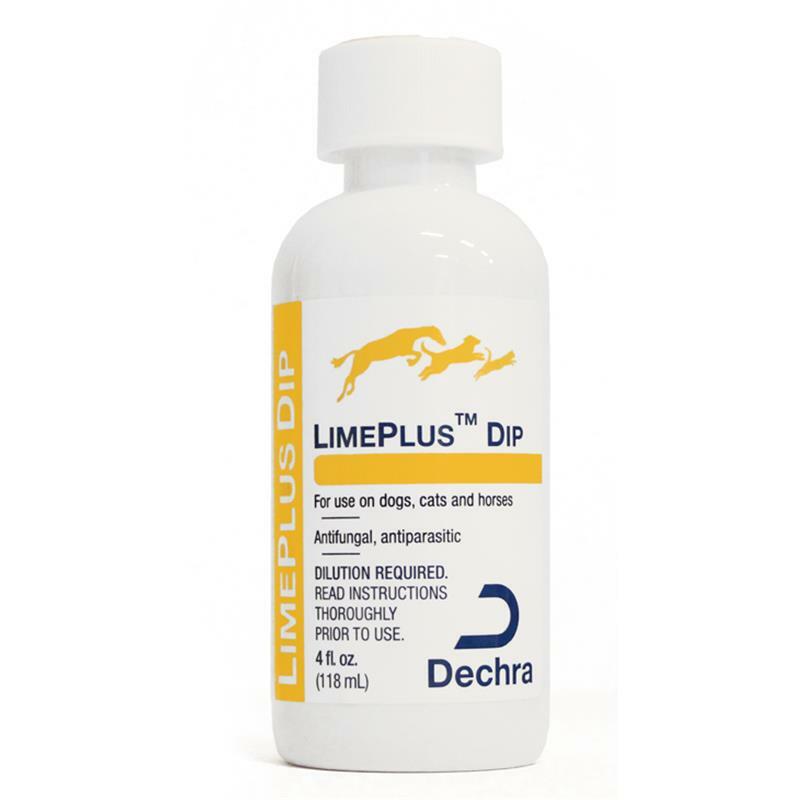 Dechra LimePlus Dip is a concentrated sulfurated lime solution which can treat dermatitis, parasites, mange and other skin conditions. Antibacterial, antifungal, antimicrobial and anti-yeast, this solution can be used on dogs, cats, horses, as well as puppies and kittens. Must be diluted with water prior to application. Wear rubber gloves to avoid contact with skin. 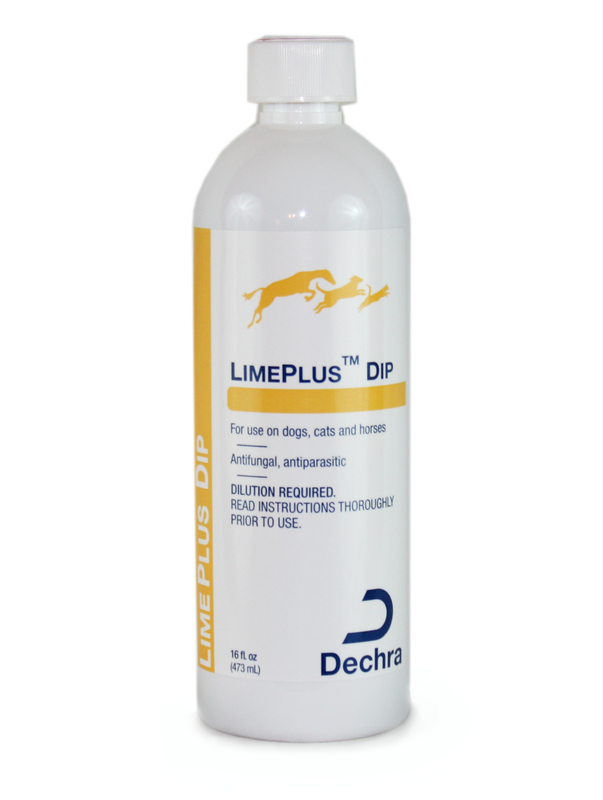 Bathe your pet prior using LimePlus Dip. Pour 4 oz of solution into one gallon of water and mix well. Pour diluted LimePlus Dip onto coat and work into skin and allow to dry. DO NOT RINSE. If product dries around the container opening or cap, immerse sealed container in warm water for 15 minutes and shake well. Then use according to directions. Dechra Dermallay Oatmeal Spray Conditioner - 12 oz. Dechra Dermalyte Shampoo - 12 oz.